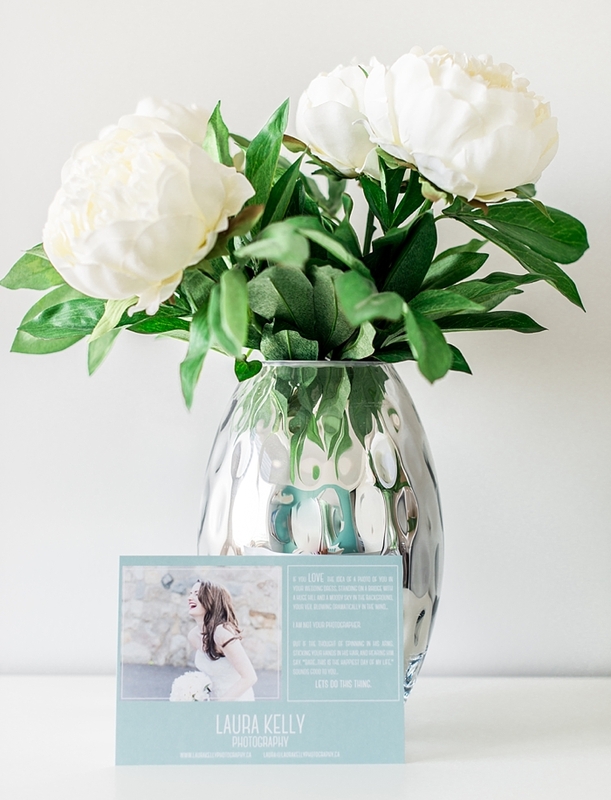 Laura Kelly Photography Blog :: Ottawa Wedding and Engagement Photographer: let's do this thing. When I started this business almost 4 years ago...I took risks. I took a risk by posting a Kijiji ad looking for clients to build my portfolio when I didn't even own a proper camera. I took a risk by buying a camera bag that would hold 6 lenses before I knew anything about what gear I'd need. And I took a risk when I quit my very stable job as a legal assistant in order to pursue this dream full time. But now that I'm here with 60-something weddings under my belt, and full confidence in my brand...I'm taking a new kind of risk. The photo above is one of my favourite photos that I've ever taken. Forget the fact that this beyond beautiful bride is one of my very best friends, and simply take a look at that expression. How relaxed her shoulders are. How easily her wedding day happiness can be felt even now, months after the wedding is over. If I didn't already know her, I'd want to be friends with her. THIS is the Laura Kelly bride. I know that now, and I'm able to market my services based on that, and that alone. 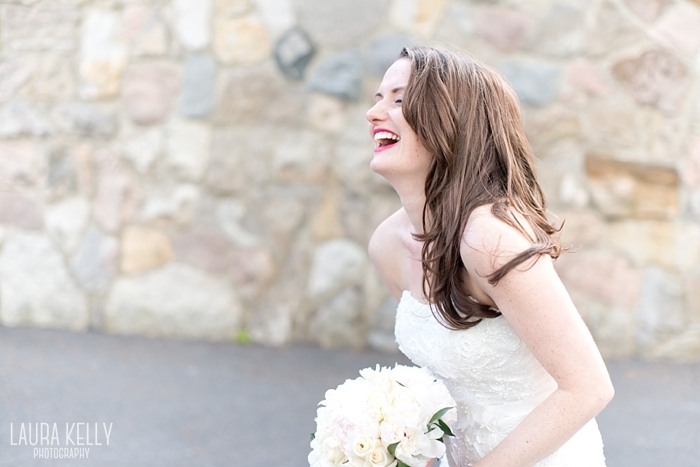 The Laura Kelly bride is happy. She is in love. When she thinks of her wedding day, she cares most about having a fun day that celebrates the love she feels for her future husband, surrounded by all of her favourite people. Yes, she loves details. But she loves laughter more. She couldn't care less about the background in her wedding photos because she knows it's the people who matter. But I wanted the message to be clearer this time. I wanted to take a risk. The message on this card is risky. It's polarizing. It might piss someone off. 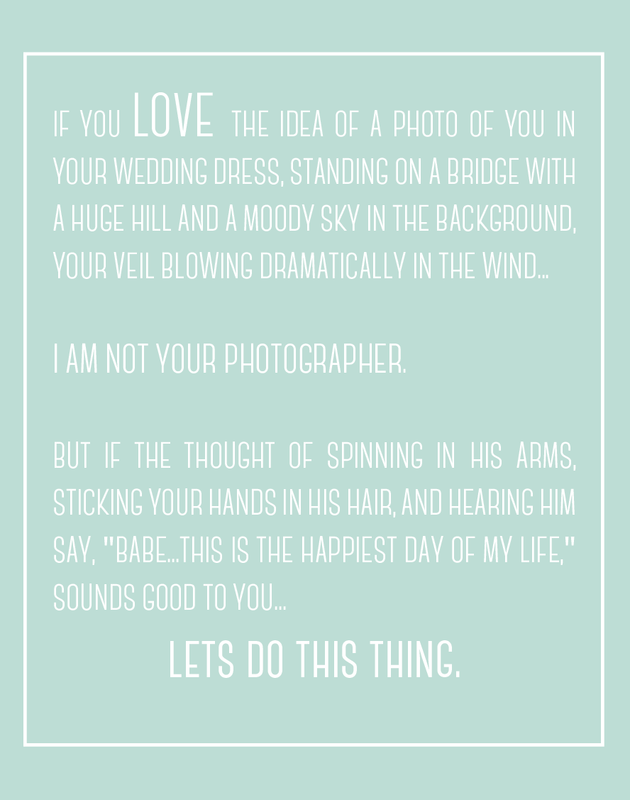 But it's worth it... Because the bride who reads this and thinks "YES" is the Laura Kelly bride. And I want to meet her. I want to be the one she chooses to photograph the happiest day of her life. To her, I say...LET'S DO THIS THING. Love it!!! Total perfection and totally you!! Way to take risks! It's scary but usually so so worth it!! sarah + den | expecting!